Do multiple-page articles annoy you as much as they annoy me? It can be extremely frustrating clicking from page to page when all you normally have to do is scroll for more content. Of course, being a marketer and getting the inside scoop, I know exactly why they do it. They do it to inflate their page views to sell more advertising or make themselves seem more popular than they are. Each time you click to the next page, it counts as another page view. Whereas a normal website would only get one page view for a single article, these sites can collect several. The problem with this is that multipage articles hamper the user experience (or UX, in silicon valley terms). Is hurting the user experience really worth artificially inflated page views? I hope they are laughing all the way to the bank. The only other reason that has been brought up is making the site load faster on mobile devices. This is ridiculous, of course. First, most devices are now fast enough to download an article in no time – afterall, most articles are are quite small with few images and are primarily just plain text. Secondly, having to load another page actually takes longer than simply having to load more of a single page. Sure, it may reduce the initial load time but there are loading tricks to help reduce that time and it is certainly not worth it load a bunch of pages instead of one. What is particularly frustrating is that these sites implement multi page articles for their non-mobile site as well. Surely they cannot think that their articles are big enough to slow down the average PC browser . . . I have gone so far as to boycott these sites. If it has multiple pages, I leave. The only middle-ground I have found are the sites that have a “view as single page” option. Not an optimal solution because it is an unnecessary page load but better than nothing. Join me in my boycotting and leave a comment below with your take on these sites. From a marketing stand point, sure it’s fine but your absolutely right. I will spend more time scrolling down the entire page reading a long article (thank you Social Media feeds) instead of clicking “read ” or “next page”. Wed articles and Newspaper articles are the same, you have a certain amount of space to get the readers attention. 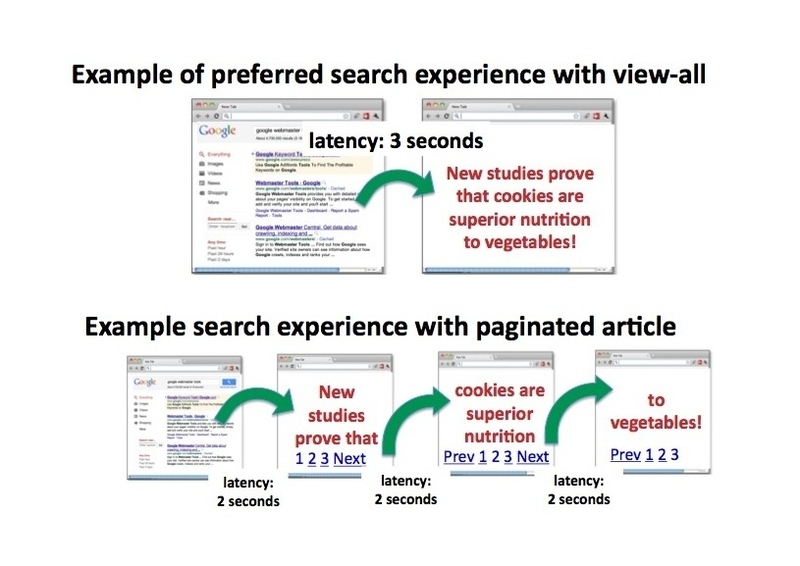 The best metric to analyze your pages is “time on page”. You can have 10 page views to my 5, and if your time on page is less then a minute and mine is 3 minutes, I’m out performing because I am proving my content is more valuable to the reader and am more likely to get some shares and links. You got it! Of course they try to make themselves more popular when selling ads by saying “our site has 400,000 page views a month!” when they actually may only have 100,000 which, while technically correct, is a dirty trick as far as I’m concerned.